The Bible clearly teaches Christians ought to pray for their leaders. Mandy Groce has created this coloring page to help teach your children about that command. It’s based on this pray for our leaders bible verse from 1 Timothy 2:1-4. Directions: Simply click on the preview image to download this free coloring pages as a printable PDF file. We’ve also uploaded it as a higher resolution jpeg image for anyone who wants to do advanced editing. 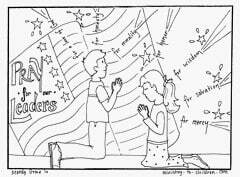 This would be a great activity for homeschool or Christian school on Election Day or any patriotic occasion. This is more than just praying for America. It’s an attitude that asks God to bless those in political power for the good of all people. When God’s people seek the good of their human government it is a sign that we trust in God. Christians should pray for the president, congress, local officials, or any other authority God has established. 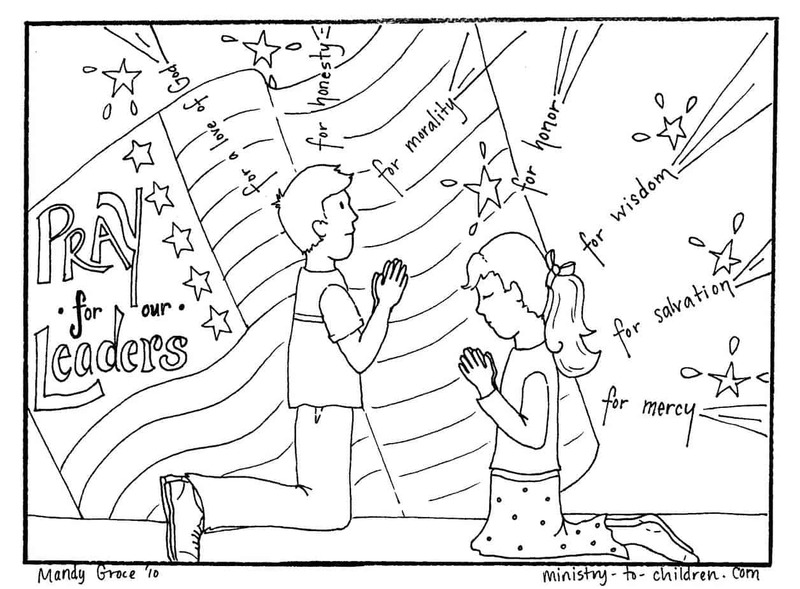 Update: We’ve just added a new coloring page with the message “God Bless America” that could be used alongside this for 4th of July Coloring Pages. More Ideas? You may also enjoy our free Sunday School coloring pages and creation coloring pages from the same artist.